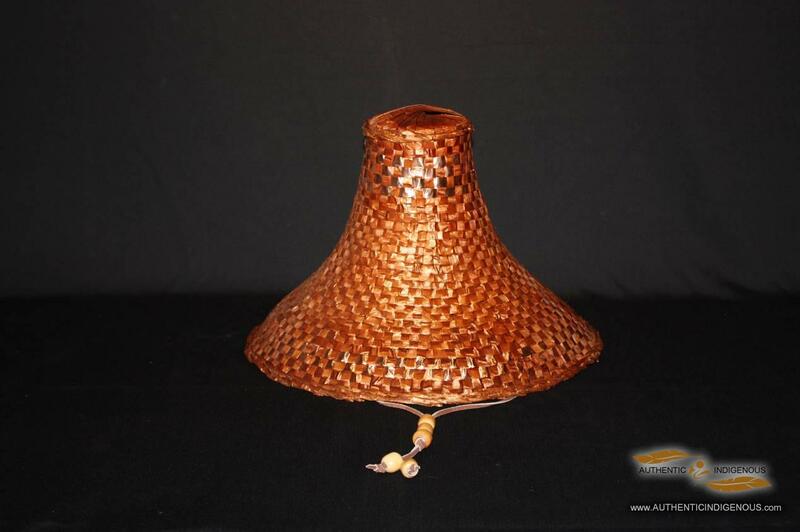 Please visit my Facebook "like" page. 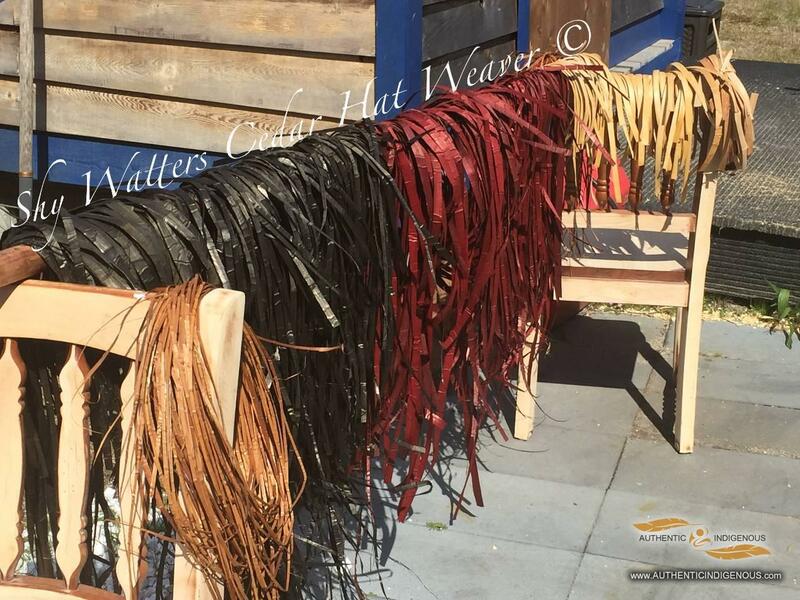 All my hats are for sale! 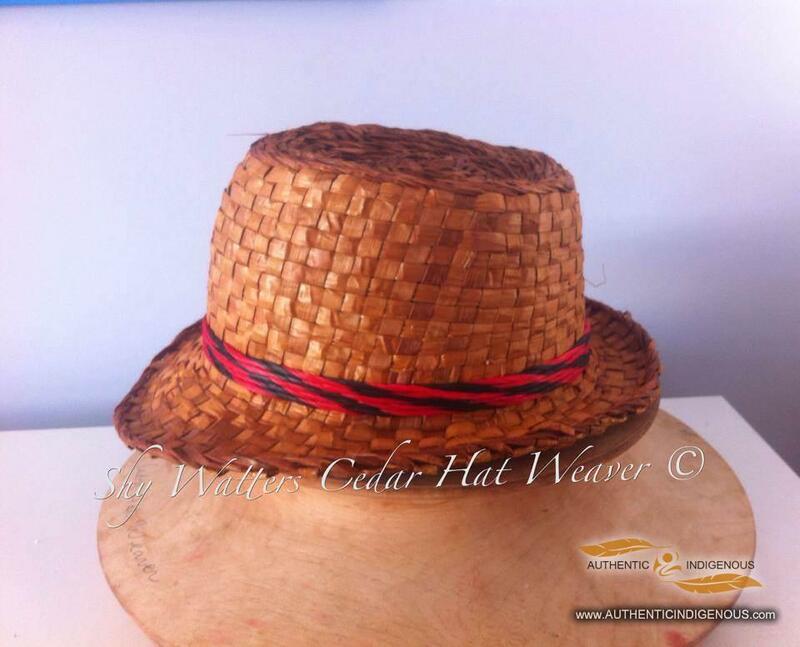 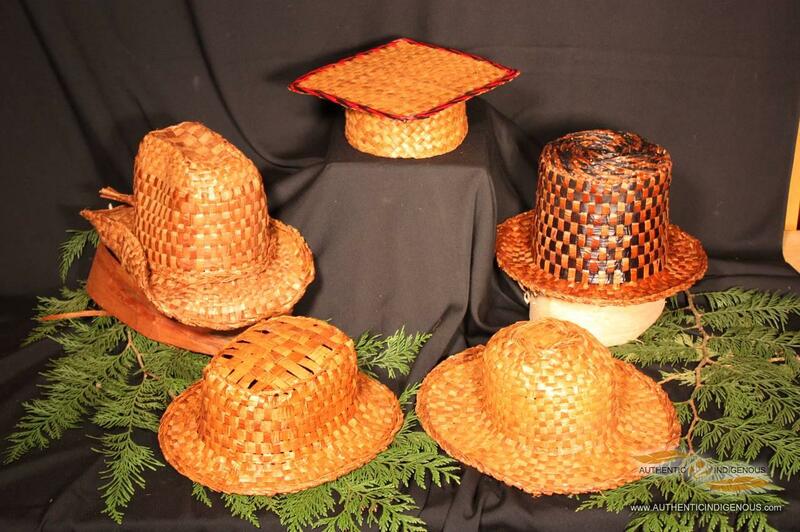 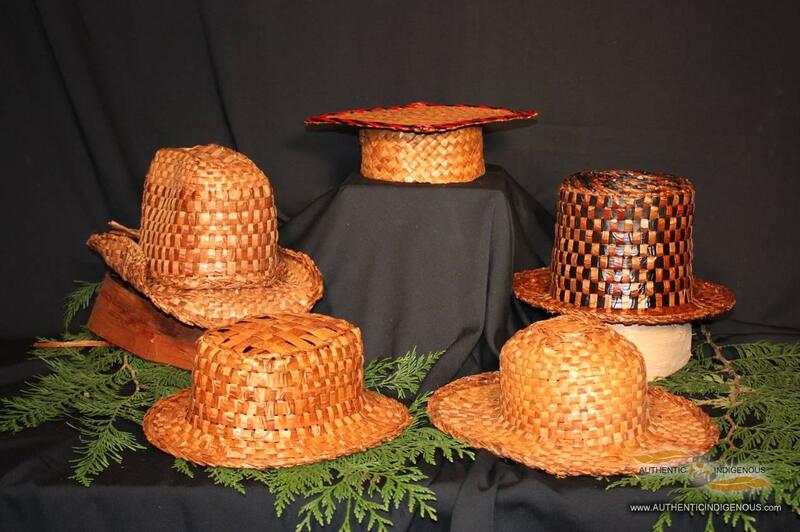 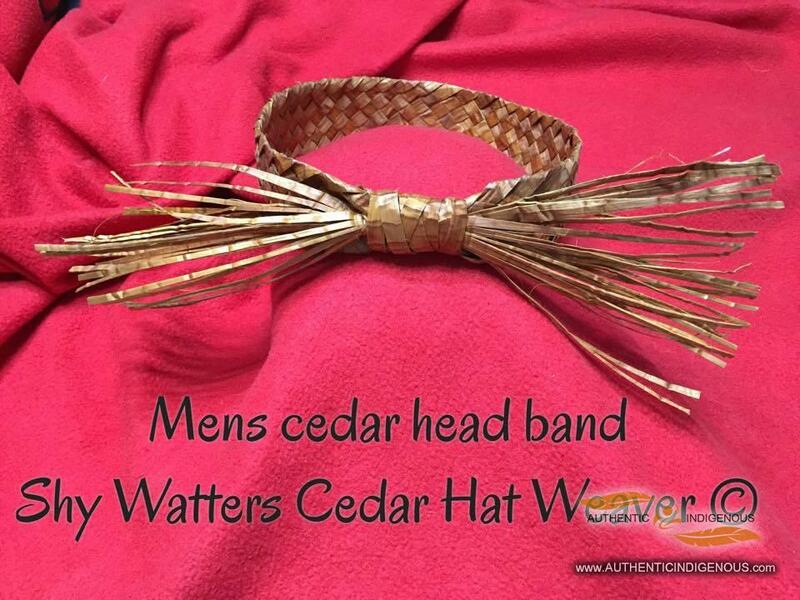 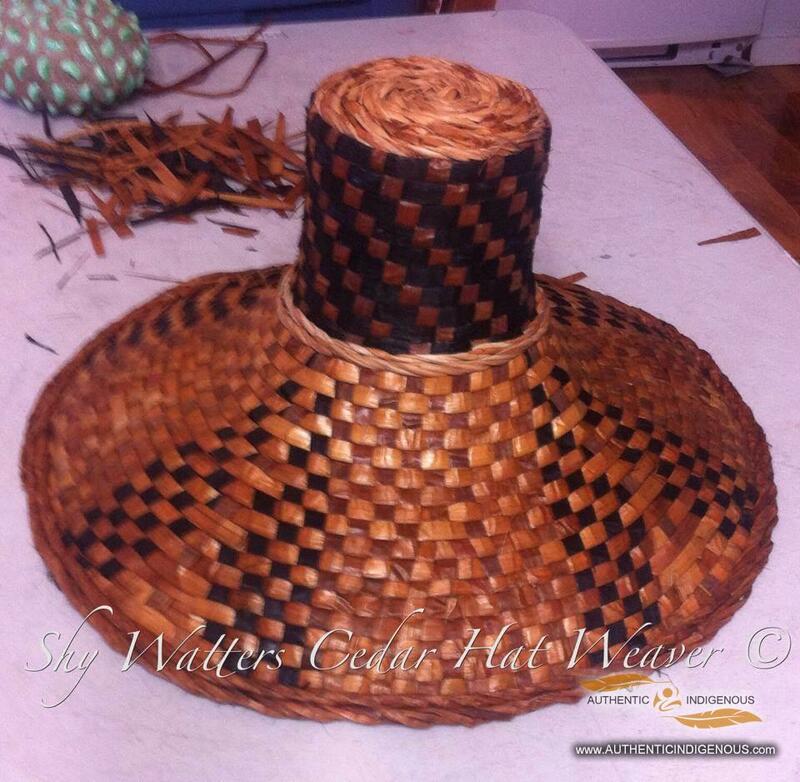 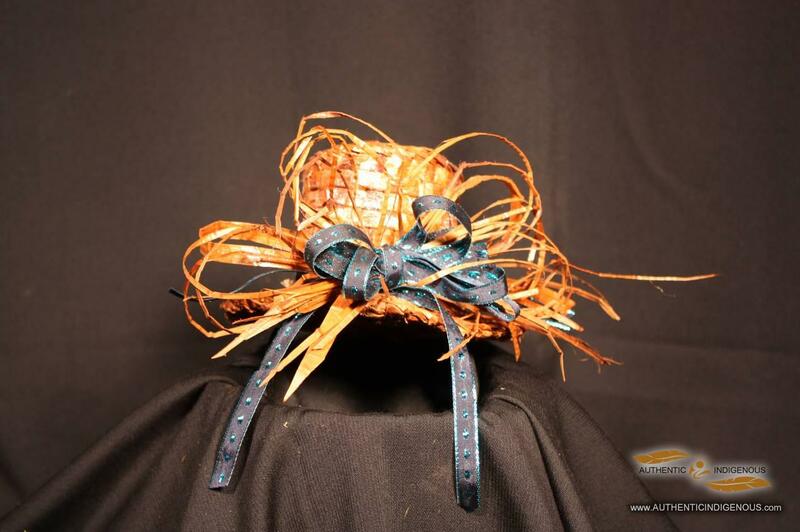 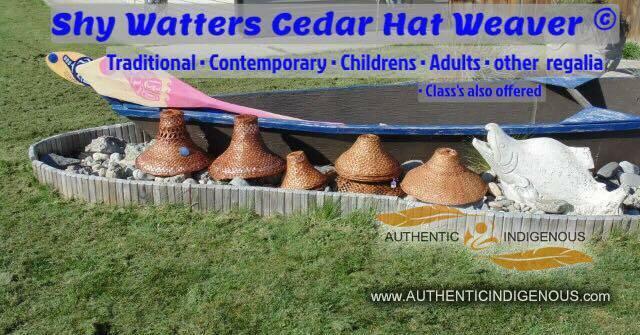 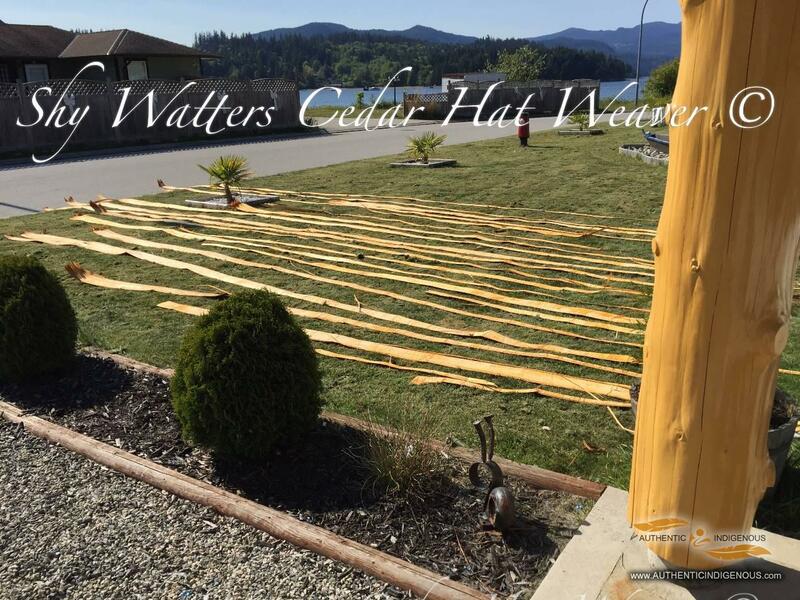 I also offer cedar hat classes locally or in your community. 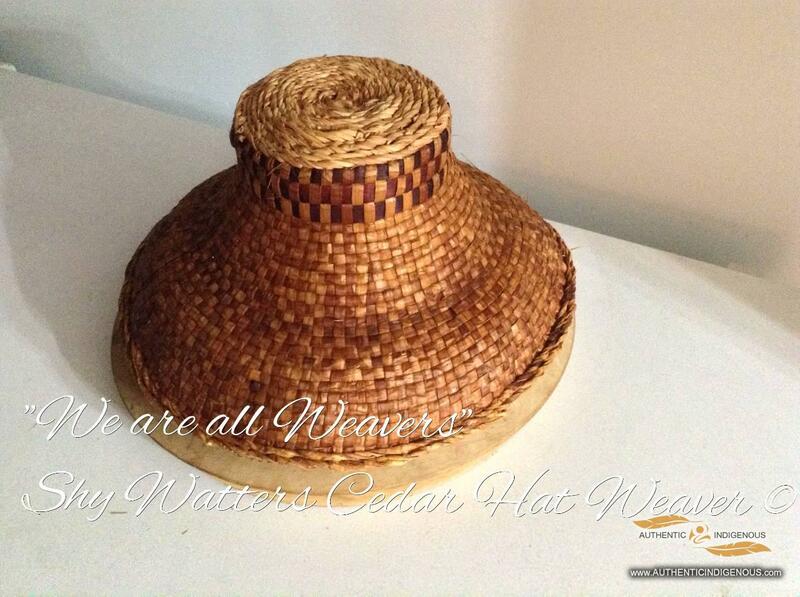 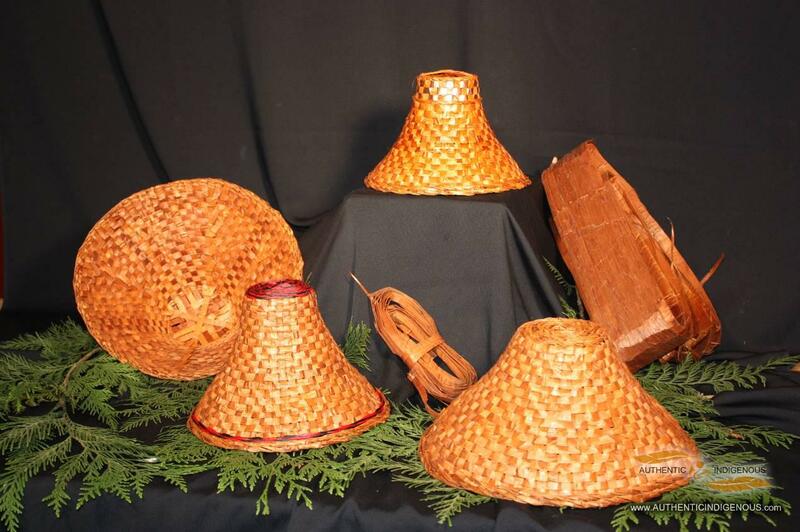 There are times I do set up at Artisan fairs through out the seasons & when I do I post it on my face book page 'Shy Watters Cedar Hat Weaver"
Shy is a member of shishalh (Sechelt) Nation who also has Squamish, Sliammon (Coast Salish) and Kwakwaka'wakw ancestry weaves intricate designs and weaves patterns from her rich cultural background. 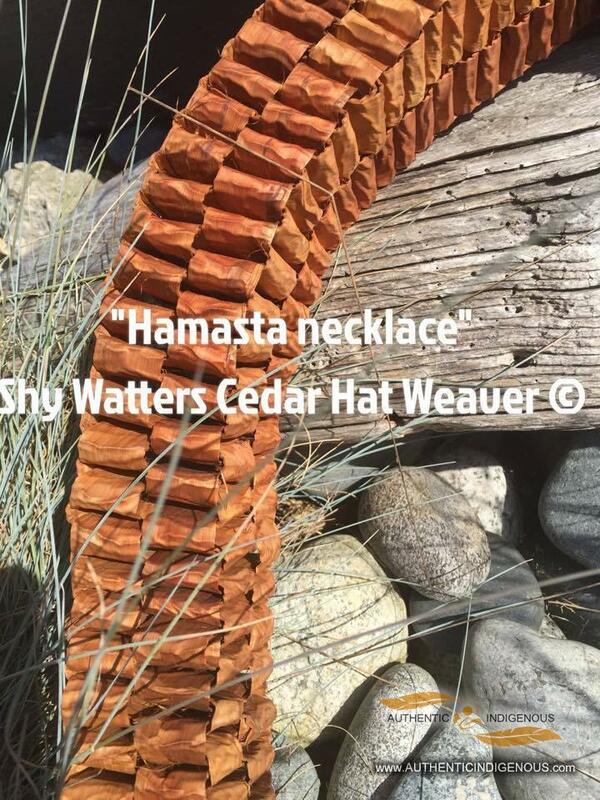 Her medium is cedar. 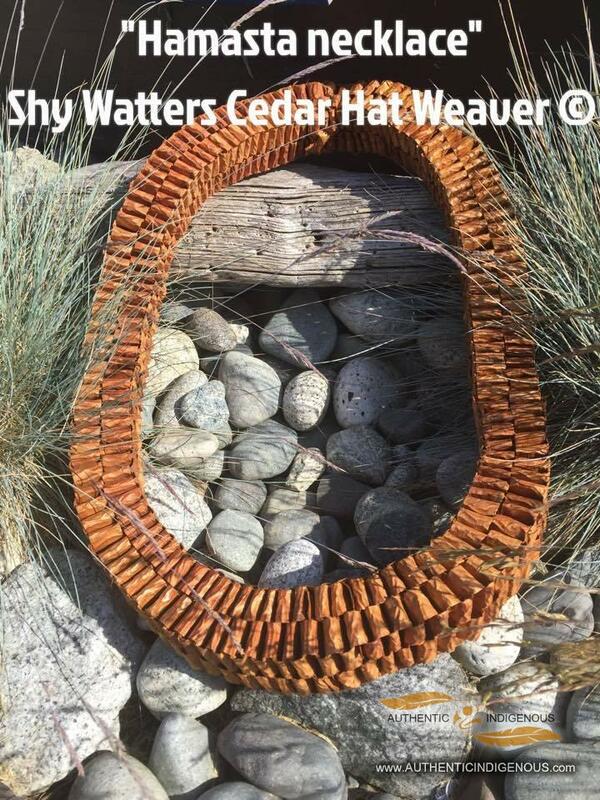 Shy has passionately weaving red and yellow for well over 18 years and continues to explore her art with tenacity and enjoyment. 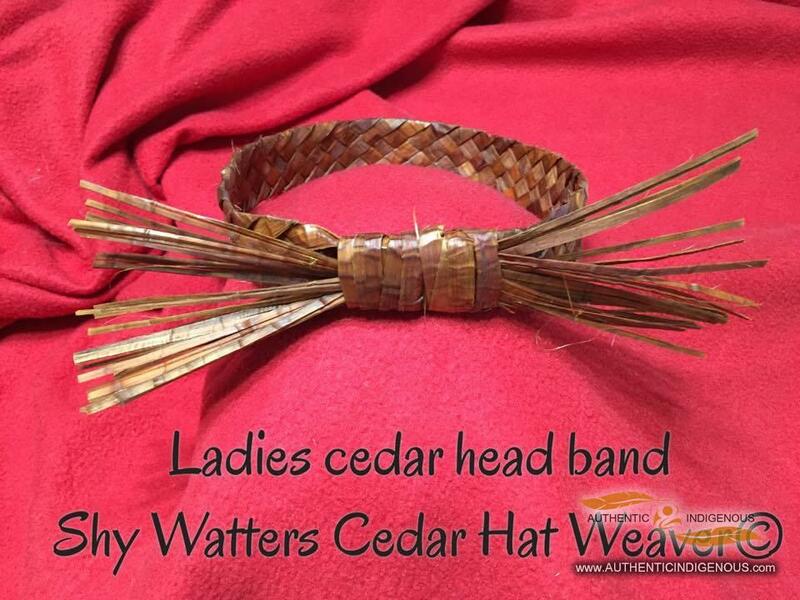 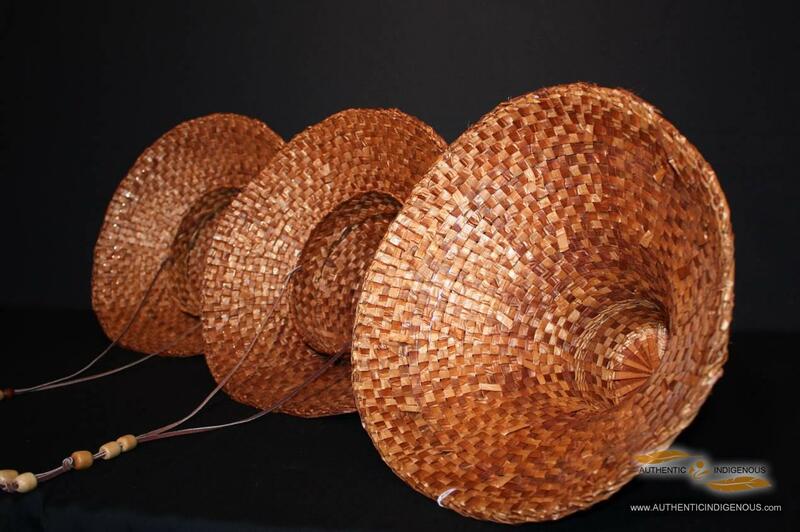 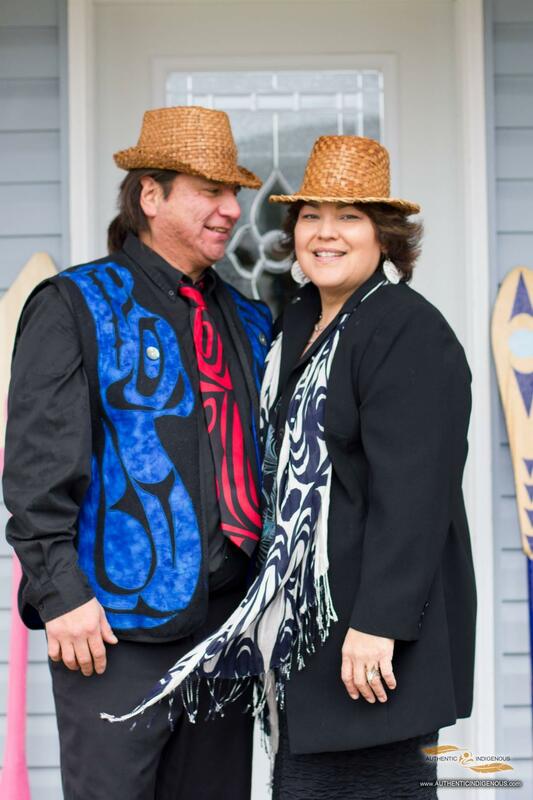 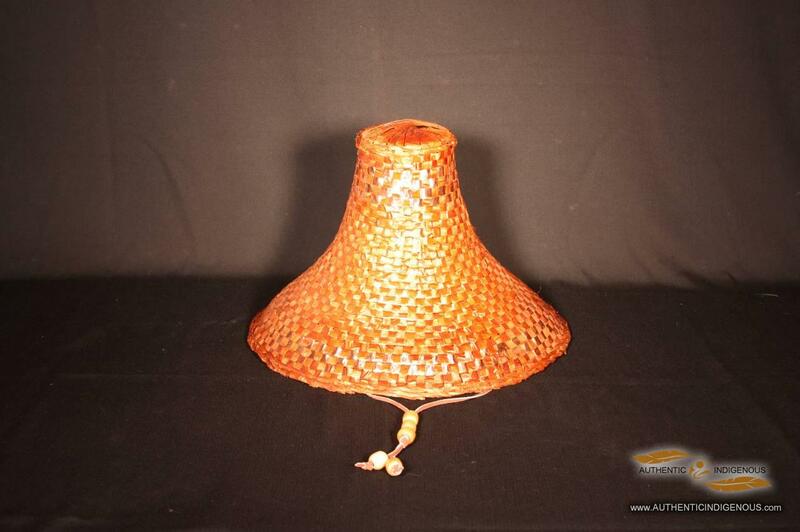 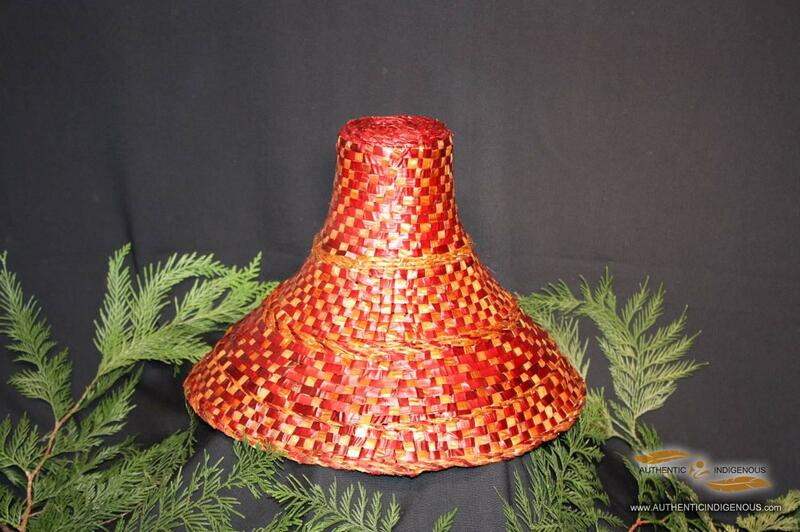 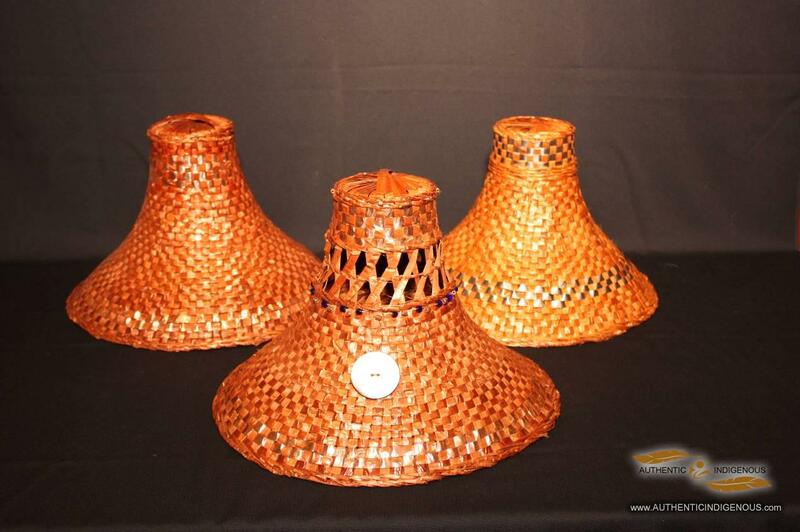 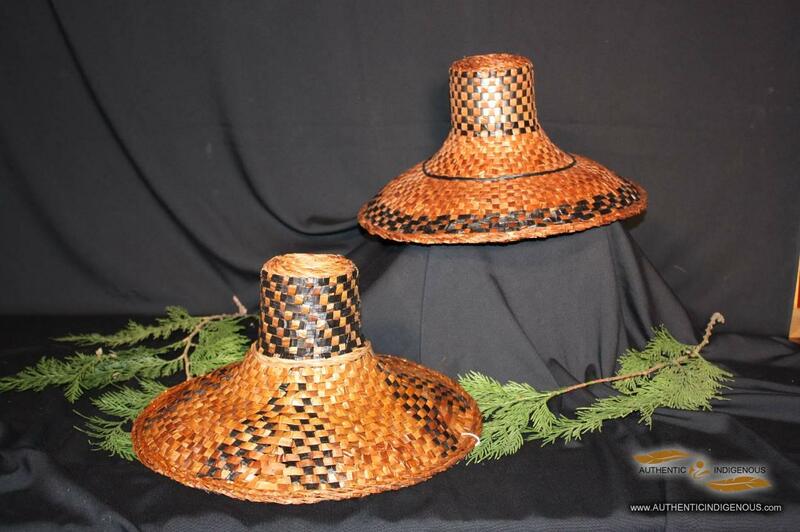 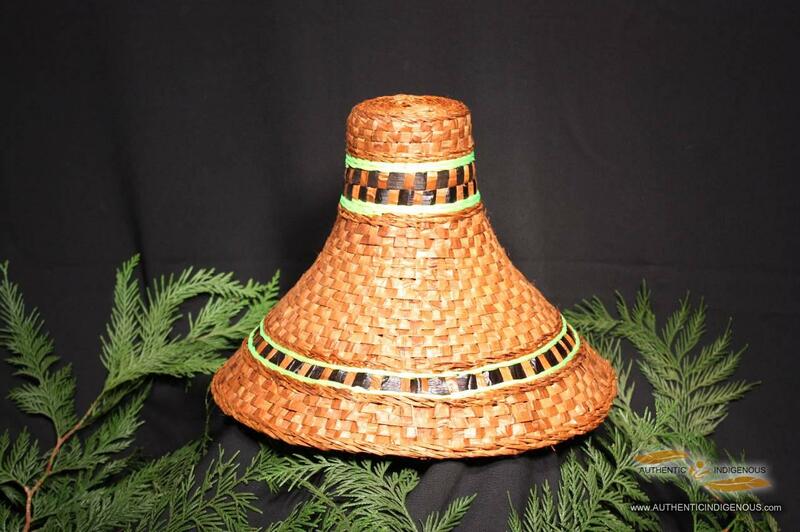 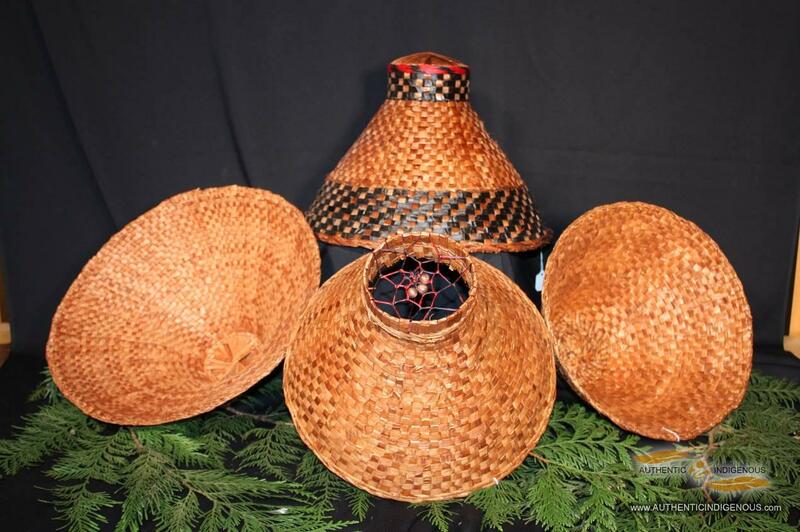 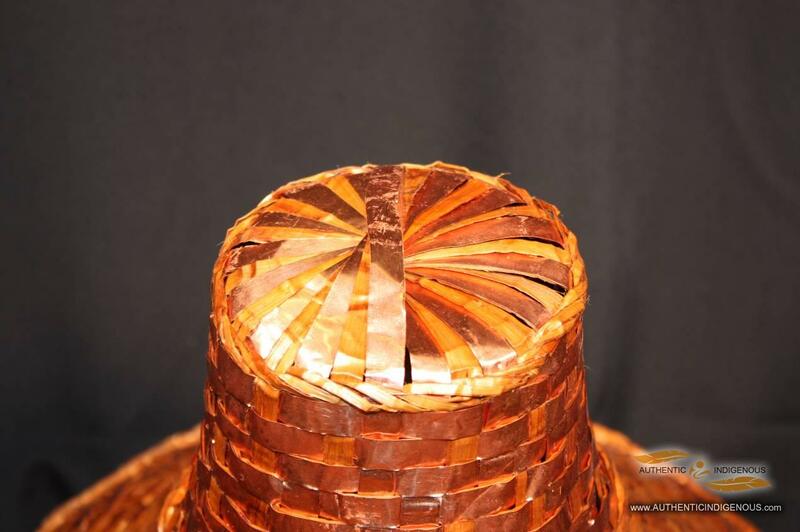 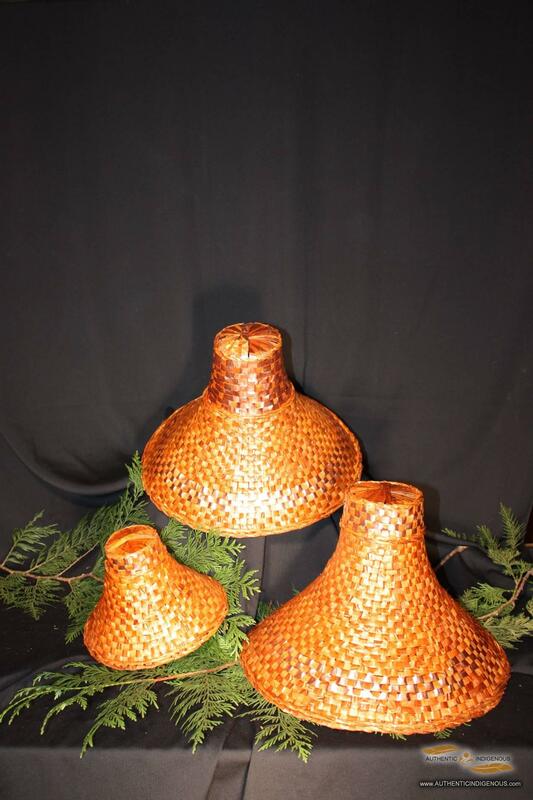 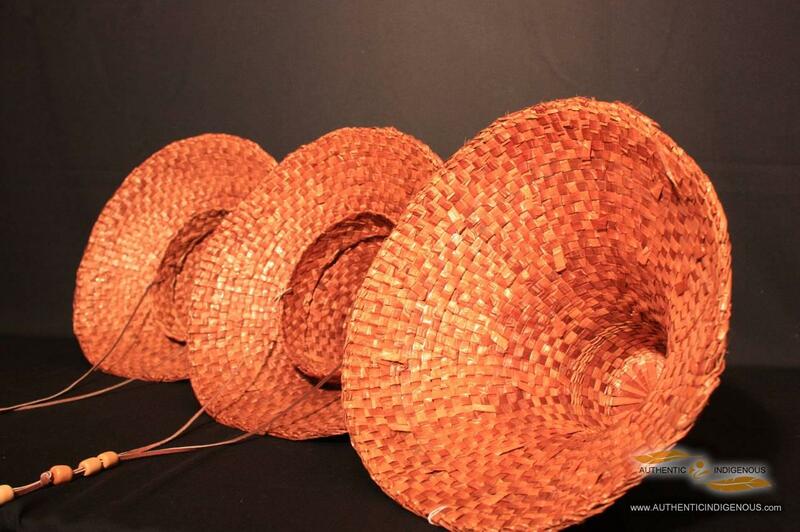 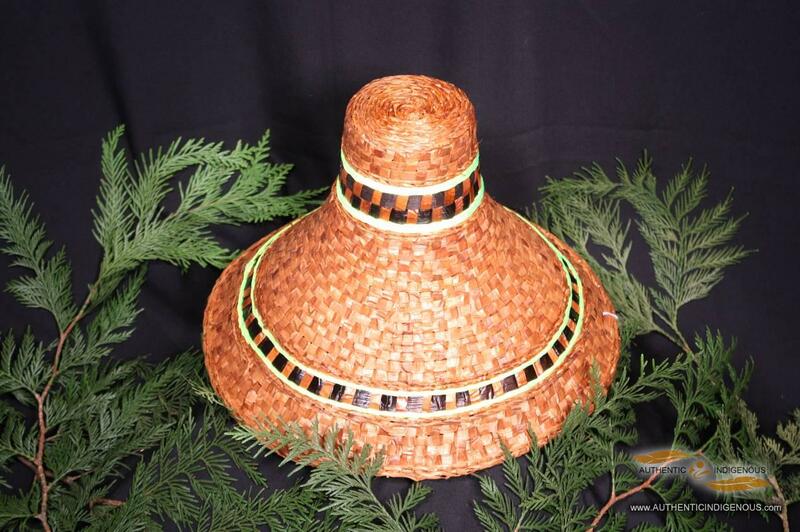 The innovative patterns used by Shy's cedar hats are popular and much of her work in sought after for cultural ceremonies. 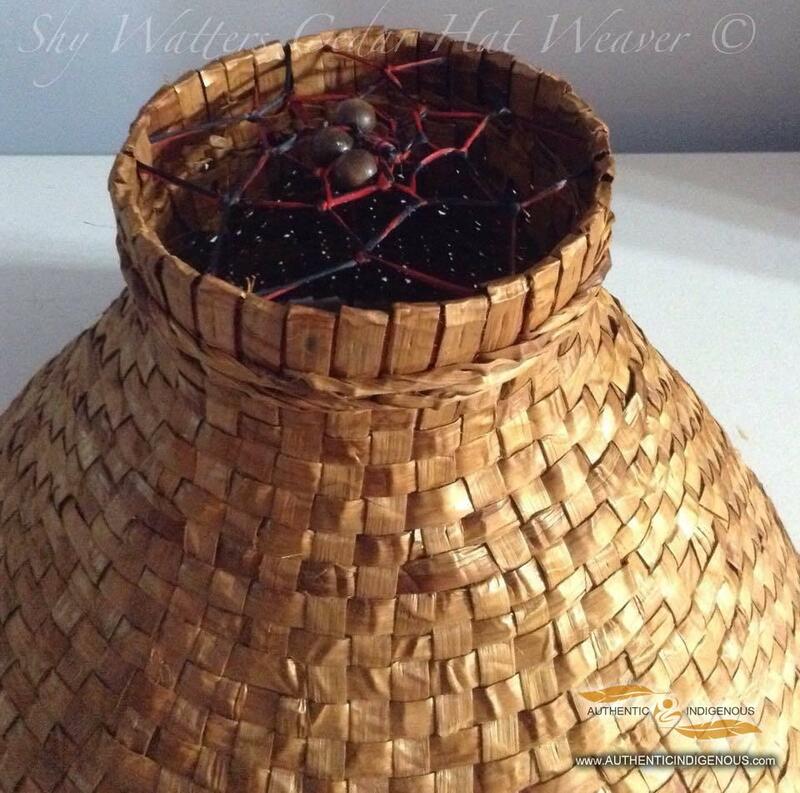 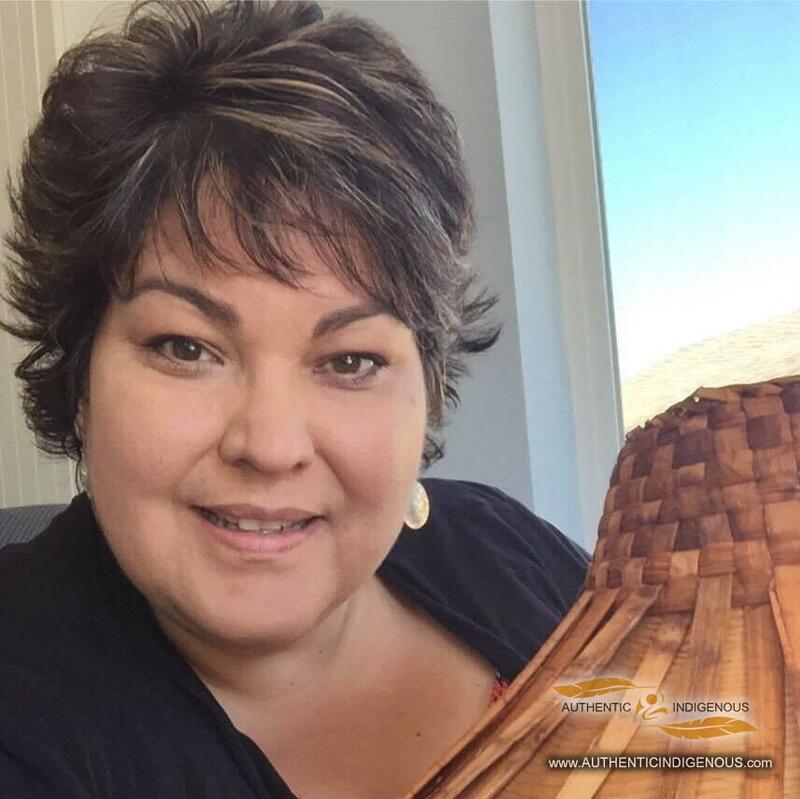 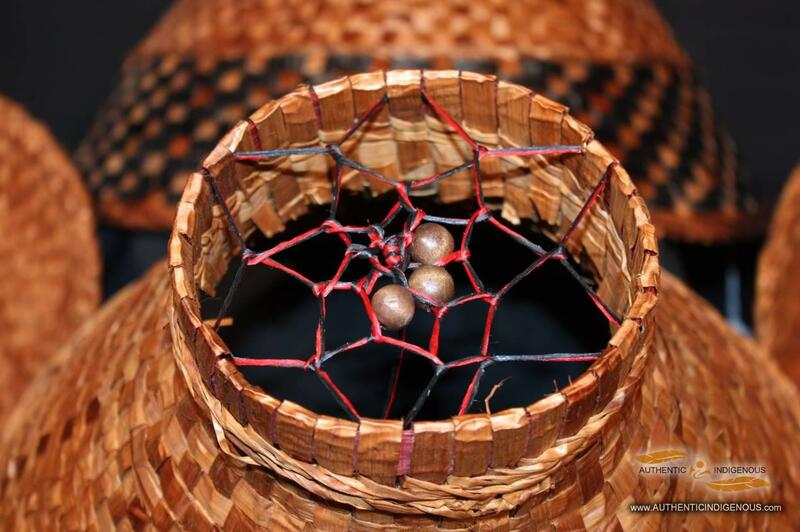 Here on the Sunshine Coast Shy is well known for her work and she generously offers weaving courses throughout the year here on the coast and throughout B.C.